Shop online with the following companies which will donate a portion of all sales to benefit Westies! A portion of all sales ordered by clicking on the stores and logos below will be donated to Westie Rescue. A link is provided at the bottom of the page to see similar items for the benefit of our Club General Fund. Our rescue program is supported by our fundraising, auctions, and by your help and donations. These funds are used for veterinary and foster care for rescued Westies before they are placed in a permanent home. YOU can help benefit West Highland White Terriers by clicking on the links below and then “go shopping!”. There is no additional cost to your order. These are donations made by the company with which you place the order. Please Note: Stores must be told upon ordering that you would like them to donate a portion of your order to Michigan Westie Rescue. It is your responsibility to satisfy yourself as to the reliability of the vendor. The Westie Club and Rescue assumes no responsibility nor do we, as a Club/Rescue, specifically endorse any of the service providers listed below. The Club/Rescue has no enforcement powers over any written or oral contracts made between the customer and the merchant. Amazon shoppers: Please go to Amazon and choose Westie Rescue Michigan as your Amazon Smile charity!!!! Glennie gives a big smile to you for choosing Westie Rescue Michigan!!!! We earn a commission whenever anyone uses these services and names us as their charity. Go to the site and read about how; GOOD SEARCH Choose “Westie Rescue of SE Michigan (Troy – MI)” when you pick your charity. Purchase Deb Duncan’s Ebook from her website www.thedogspeaks.com/book.htm. Deb Duncan is a behaviorist whose book will help you “Talk Dog”. What a difference it makes when you meet your dog half way by speaking to him in a “language” he will understand. 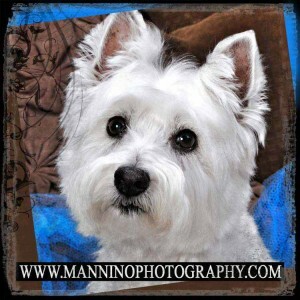 Photographer, AnnMarie Mannino of Mannino Photography, Royal Oak, MI., will give Westie Rescue a 5% commission on any sales which are generated through us. Call Ann Marie for an appointment at 248-589-8838 and tell her you learned about her through Westie Rescue. CLICK ON THE PHOTO to find and clip the coupon or tell her that you were referred by Westie Rescue. She will give a 5% COMMISSION to Rescue. Gina will complete any size painting a client asks for, but generally charge $100 for a 8X10 or $150 for a 11X14. She will paint any breed of dog. Denise will give us a commission on sales from her website. 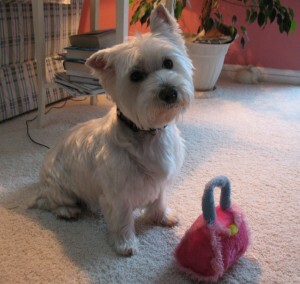 Lilibeth’s mom makes generous contributions to Westie Rescue Michigan from these sales. Please support her efforts to help other dogs in Lilibeth’s memory. Click on the banner for beautiful ribbons to dress up your Westie. 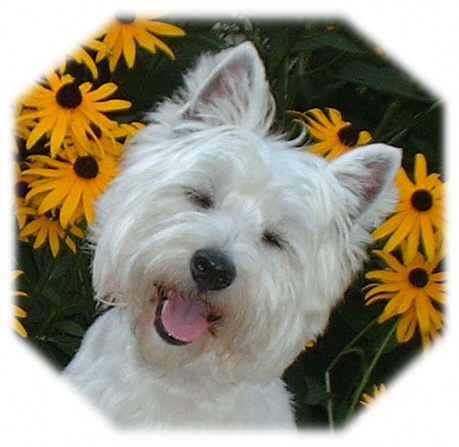 Click on the banner for cute doggie hats and monogrammed scarves to dress up your Westie. 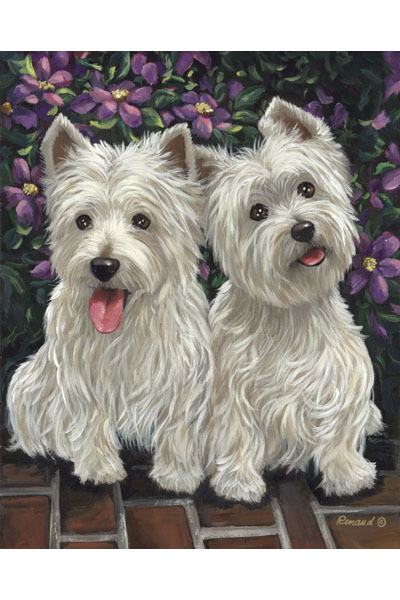 Click on the banner for Westie towels and Westie shaped soaps. 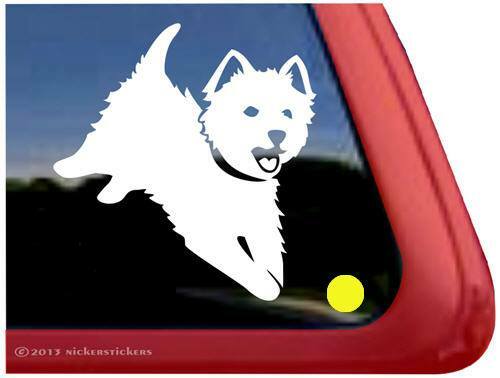 Click on the banner to dress up your Westie in a Scottish kilt! 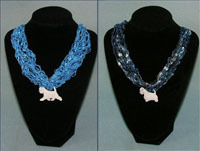 Click on the banner to see a beautiful selection of “people collars”, e.g, fiber art necklaces. ASK her about the Westie Slides: $22 with scarf and slide incl. shipping. MICHELLE’S BARK N PURR STORE Very”Durable” Unique Doggie and Kitty Toys, most are handcrafted by Michele Ann, plus Pet beddings/Crate pads, Apparel, Embroidered Bandana’s, Dog Bone Pillows/Pet Pillows, and Treats and Treat Toys. New items are: Embroidery Shirts, Pillows and Totes. Holiday Items for pets and folks. Twenty percent of proceeds will be donated to Michigan Westie RescueThank you for your support! Enter the Monthly Drawing, your Pet might get Lucky! 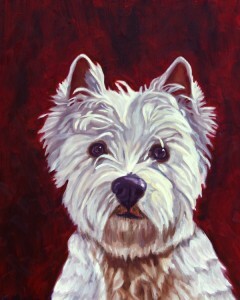 Website 10% of proceeds on commissioned paintings ordered from this listing will be donated to Michigan Westie Rescue. If you order a painting from Mary Sparrow Smith’s site, please mention Michigan Westie Rescue and she will send a 10% commission back to us. http://www.marysparrowsmith.net/. Also follow her on Facebook at “Hanging The Moon”. 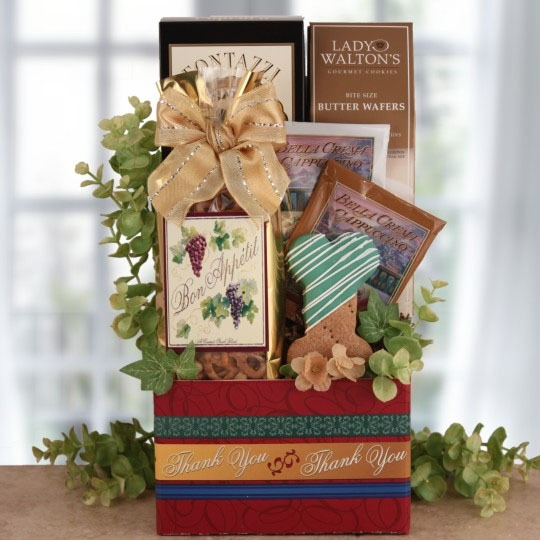 CLICK HERE to see Shop and Benefit items for CLUB. NickerStickers.com donated decals to our March 2015 auction.